Absorbent, durable towels made of cotton material reminiscent of traditional flour sacks. The construction results in a low lint finish making this the preferred dish drying towel. Machine wash and dry for stress free care. Flour sack towels are long-lasting and durable for many washes. 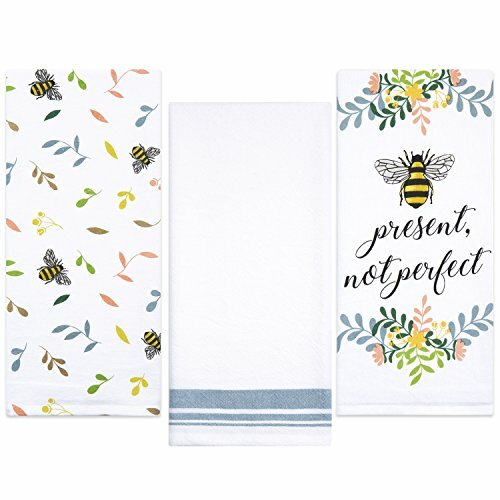 Decorated with charming, chic packaging, these towels make a great hostess, wedding or housewarming gift! The towels measure at 28 in x 29 in.